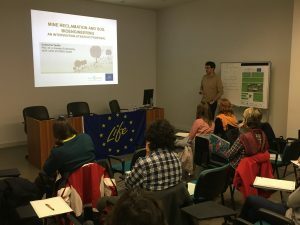 One of the ECOMED Project members, Guillermo Tardio, has participated in the TECMINE LIFE Project as member of the Life Project Panel of Experts. The TECMINE project (http://www.agroambient.gva.es/web/life-tecmine) is searching for innovative methods for land and mine reclamation works and projects in Mediterranean environments. Future collaborations between ECOMED and TECMINE projects will be developed throughout this year.